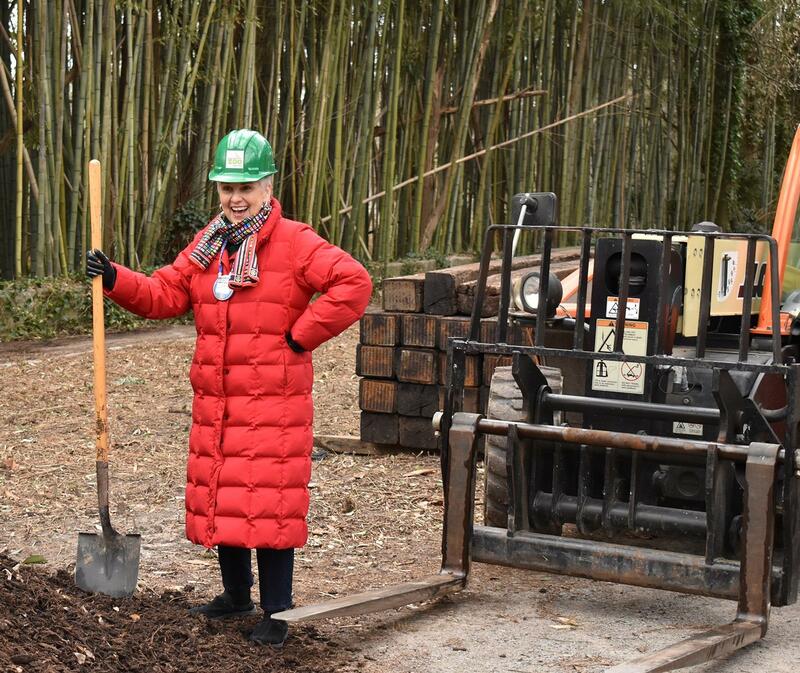 Dignitaries breaking ground for the new Nature Play area at the Virginia Zoo in Norfolk included Pam Tubbs, Rotary Club of Norfolk president. Our club is the lead club landing a Rotary District 7600 grant to build the new play area. Fnders partnering with us and the district are the Rotary Club of Virginia Beach and the Norfolk Sunrise Rotary Club.